Lots has been happening in the zone this month: we hit the 2000 jobs mark, had a visit from James Wharton MP and a landmark infrastructure project in the zone neared completion. We have also announced key dates for the upcoming arena consultation, which will launch on 16th September. Finally, there's a host of exciting events coming up in the zone - please scroll to the bottom of this email for more information. We are looking for your help to develop our proposals for the Bristol Arena, and for how Arena Island could be developed over time. A pre-planning consultation will launch on 16th September to get feedback on the current plans before a full planning application is submitted. Details of where you can see the proposals and drop-in sessions is available on www.bristoltemplequarter.com/arenaconsultation. Information about the plans will also be available there from the 16th. On August 6th Parliamentary under Secretary of State for Communities and Local Government James Wharton visited Bristol to mark 2000 jobs being attracted to the Enterprise Zone since it was declared open for business in 2012. 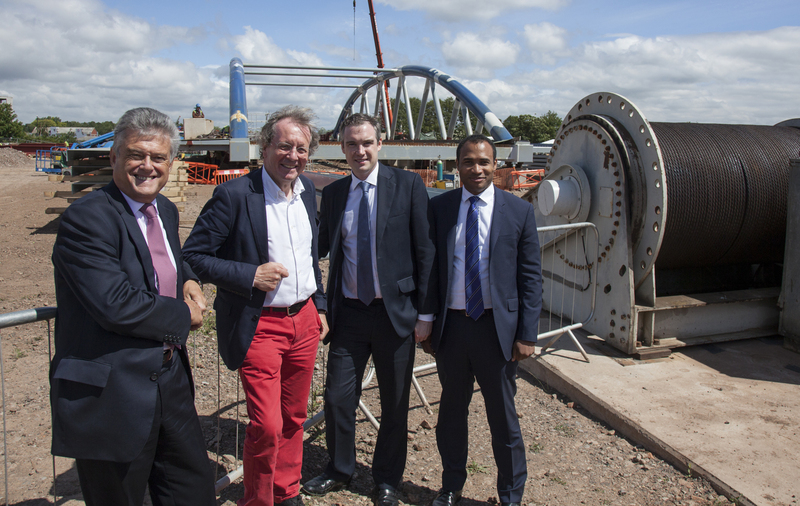 The minister met with senior council officers, Mayor George Ferguson and Colin Skellett, chair of the West of England LEP, and visited the site of the Arena Island bridge. The bridge from Cattle Market Road to Arena Island, one of the first major infrastructure projects in the Enterprise Zone, is nearing completion. 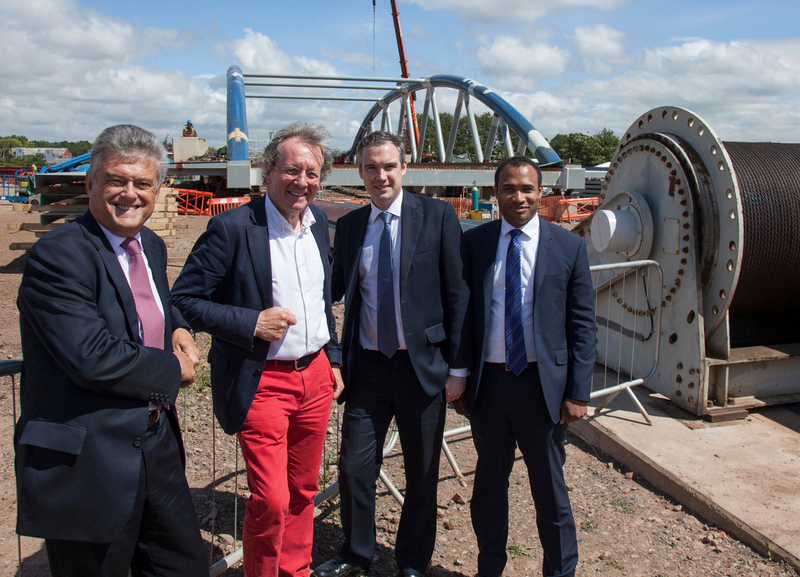 The bridge, made possible by £11m investment from the Homes and Communities Agency (HCA), has started nosing out over the river and should be fully in place in September. For more information about the bridge, please see our blog post and watch a time lapse showing the first stages of its journey. Neighbourly, a social platform that connects charities and community projects with businesses, has secured over £1m of investment to grow their engineering team and accelerate their development and international launch. They have also been chosen by retail giant Marks and Spencer to support their Spark Something Good campaign. We caught up with Nick Davies, founder and CEO of neighbourly, on our blog to get an overview of the business. 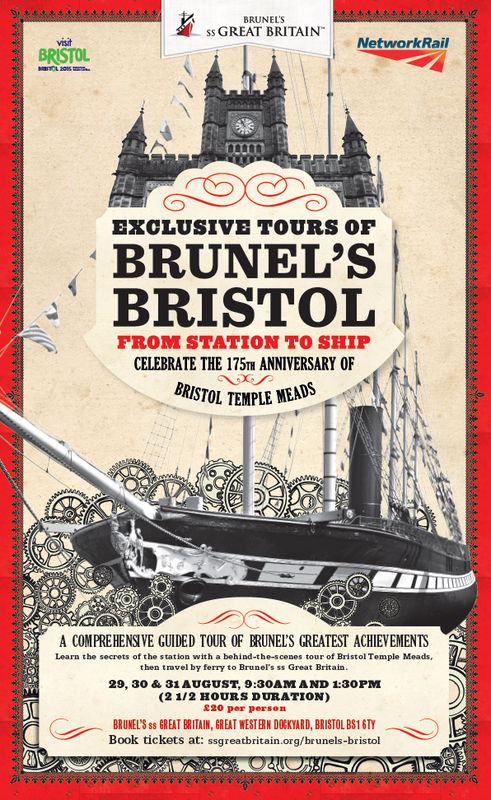 To celebrate the 175th anniversary of Temple Meads Station, Network Rail and the SS Great Britain are offering exclusive tours of two of Brunel's masterpieces. These tours will include the Engine Shed, Passenger Shed and the vaults at Temple Meads, as well as a one-way ferry ride and entry to one of Brunel's other masterpieces - the ss Great Britain.Tickets to Brunel's ss Great Britain include free, unlimited return visits for a year. You can find out more and book tickets (£20) on the ss Great Britain website. Please click on image to the right for a larger version of the poster. As part of Bristol Doors Open Day 2015, both Engine Shed and the Bristol Temple Meads tunnels will be open for visitors. Both tours require advance booking, and more information on the tours and how to book is available on the Bristol Doors Open website. 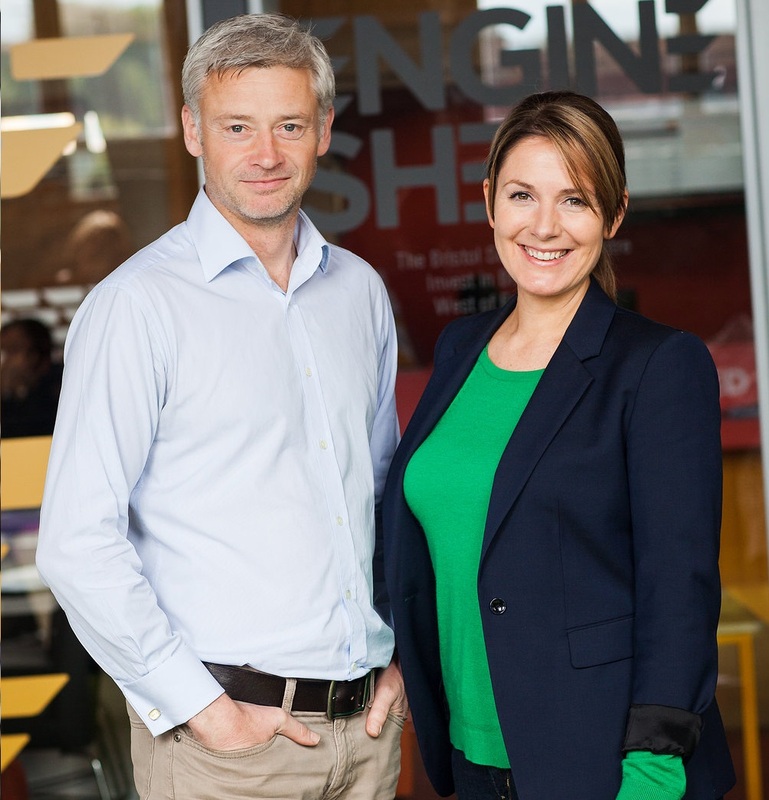 SETsquared will be hosting a venture pitch and selection event at Engine Shed on 14 September to identify participants for the Pitch@Palace 4.0 event, which will take place at St James’ Palace on 2 November. Three of the ventures selected on the day in Bristol will get to attend this event, where they’ll gain priceless publicity and access to an ‘AAA’ list of investors, movers and shakers. The event will focus on showcasing Internet of Things and Smart Cities ventures, and is open to any venture developing a business in either of these sectors. You can register to attend online, and the deadline to do so is 28th August. Room 13 Hareclive is an independent artists’ studio based in the playground of Hareclive Primary school in Hartcliffe, co-run by children and adults working together. This year Room 13 artists won the Bristol 2015 Green Capital arts commission for Dundry View Neighbourhood Partnership, and an exhibition of their work is currently on show in the Engine Shed until 4th September.